An exciting infrastructure project is currently underway across the iSimangaliso Wetland Park. With new attractions open on the Eastern Shores, 30 facilities are being constructed or refurbished. This exciting development will enhance both overnight and day visitor experience. The new Mfazana bird hide overlooks the Mfazana pan and Mfabeni viewing deck near Cape Vidal. Other facilities scheduled to open in the forthcoming months include Mount Tabour (Mission Rocks) viewing decks and picnic site. A viewing deck at Lake Bhangazi and Catalina Bay picnic site with a viewing deck and braai facilities are also planned. This is the second phase of the Park’s upgrade program for the Eastern Shores. In phase one, roughly 90 km of game drives were completed, including the Pan, Vlei, Dune & Grassland loops. Each one of these offers a different perspective of the Park. Along with these new attractions open on the Eastern Shores, the challenging dirt road winding its way between millions of alien pine trees has been redone taking visitors through a rehabilitated wonderland. Several interlinking ecosystems offer an incredible array of experiences for those who take the time to explore. Details of infrastructure project progress in the other sections of the Park including the Western Shores, uMkhuze and Sodwana Bay will be released in the forthcoming weeks. Together with the 25 000ha Western Shores upgrade, areas previously seen only by guests of concession operators are now open to all. 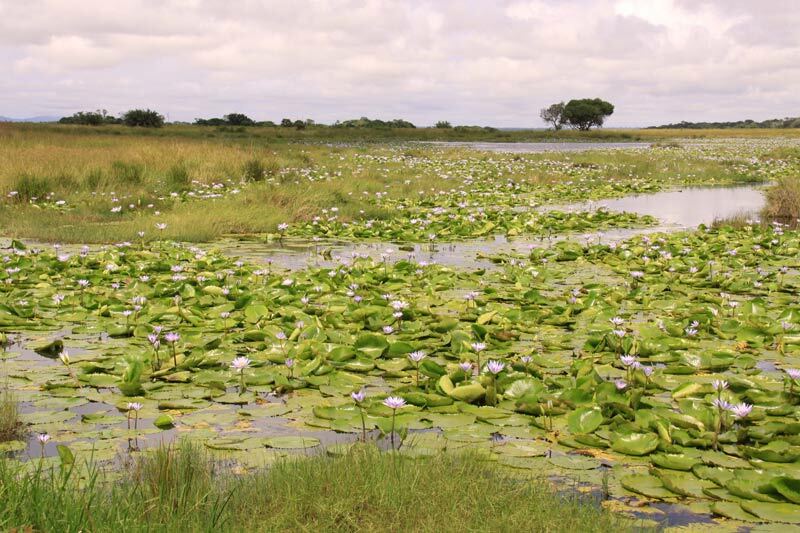 The opening of the Western Shores on the 14th of December (2013) is in line with iSimangaliso’s programme to strengthen the Wetland Park as a world-class destination. In a recent statement, iSimangaliso unveiled their plans for a new tourism route for visitors to St Lucia, the Eastern Shores and the Western Shores. The new initiatives aim to enhance visitors’ experience of iSimangaliso’s UNESCO world heritage values. This includes the re-introduction of game, and major land care and rehabilitation programs. A new network of game-viewing roads, view sites, hides and picnic sites on the Western Shores of Lake St Lucia will be introduced. It also creates a new tourism route for visitors heading to St Lucia and the Eastern Shores from the north, or via the Western Shores from the Eastern Shores to Hluhluwe iMfolozi Park. Maputaland is the southern part of one of the largest coastal plains in Africa, stretching as far north as Somalia. It is located at a junction between the ocean, the inland plateau and the coastal lowlands, and was formed over millennia of retreating and advancing ocean to form the dunes and isolated lakes of today. There are two main plant and animal sources that populated the region, the subtropical and temperate south and the more tropical climate in the north, with tropical species being the more prevalent of the two in the entire region. This can be largely attributed to the southern flowing warm Mozambique and Agulhas currents with an average of 18 degC. Comprised mostly of flat low-level coastal plain with a maximum elevation of 150m, this rises to about 600m at the Lebombo Mountain Range. Of the string of coastal lakes found in the area, the two most significant are St Lucia and Sibaya lakes.